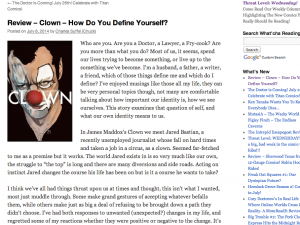 The good folks over at the comic blog What’Cha Reading shone a spotlight on Clown. Head over and read their thoughts on this 4/5 recommendation! CLICK HERE for the link.